$359-$495 for 2 Legoland 2-Day Hopper Passes + 2 Nights at The Grand Pacific Palisades Resort + Much More, a $599-$815 Value! If you're planning (or now will start planning!) 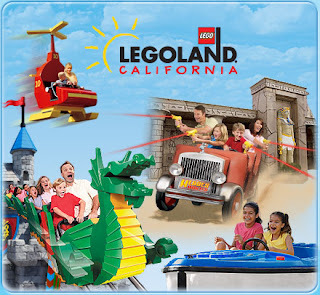 to visit Legoland in California, you can get an awesome deal from Plum District! Legoland California offers more than 60 interactive rides, shows and attractions specifically geared for families with children ages two to 12. Your two-day Resort Hopper Passes get you into Legoland California, the Legoland Water Park and the Sea Life Aquarium. Both passes can be used for either an adult or a child - they're a $220 value by themselves!